The content and administration procedures of proficiency tests, the difficulties faced and the perception of “proficiency” in schools of foreign languages in Turkish context are issues worth focusing on. 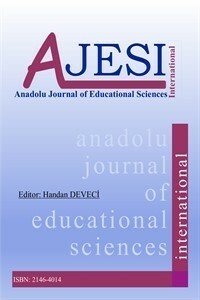 One of the comprehensive studies on this topic was conducted by Aydın, Akay, Polat and Geridönmez (2016) in which they conducted a series of interviews with the administrators of 12 schools of foreign languages in Turkey as a part of a Scientific Research Project of Anadolu University. One of the striking findings of this study was the willingness and enthusiasm of administrators for computer assisted language proficiency tests. They stated that this practice may bring certain advantages regarding work load and quality. Therefore, two international test providers which design and administer such tests were visited within the scope of this research project to gather information about the technical and procedural information regarding the following issues: the reasons of the transition from paper-based tests to computer-based ones; the decisions taken prior to transition and preliminary works; the advantages and difficulties of computer based tests; and automatic scoring practices. This paper aims to report the results of these interviews by suggesting a possible path to develop our nationwide computer based proficiency test. development of the student. Altmışdört, G. (2010). Yabancı Dil Öğretiminde Nasıl Bir Ölçme-Değerlendirmeye İhtiyaç Vardır? Kuramsal Eğitimbilim, 3(2), 175-200. Aydın B., Akay E., Polat M., Geridönmez S. (2016). Türkiye’deki Hazırlık Okullarının Yeterlik Sınavı Uygulamaları ve Bilgisayarlı Dil Ölçme Fikrine Yaklaşımları. Anadolu Üniversitesi Sosyal Bilimler Dergisi, 16 (2). Aydın, S. (2000). İngilizce Öğretiminde Uygulanan Testlerle İlgili Sorunlar ve Çözümler. Atatürk Üniversitesi K.K. Eğitim Fakültesi dergisi, Dil Bilimi ve Dil Öğretimi Özel Sayısı, 4(1), 182-192. Bayraktaroğlu, S. (2010). Yabancı Dil Eğitimi Gerçeği, Yabancı Dilde Eğitim Yanılgısı. Cumhuriyet Bilim ve Teknik (CBT1221/18). British Council. (2015). The State of English in Higher Education in Turkey: A Baseline Study. Yorum Basın Yayın Sanayi Ltd. Şti, Ankara. URAP. (2013). Ekim 2013 Basın Açıklaması. Ankara, Urap Araştırma Laboratuarı, ODTÜ Enformatik Enstitüsü. [Available online at http://tr.urapcenter.org], Retrived on November 25th 2015. Yabancı Diller Yüksekokulları Yöneticileri Toplantısı (2015). [Available online at https://ydyotr.wordpress.com/toplantilar] Retrieved on December 15th 2015. YÖK. (2015). Bolonya Süreci Nedir? Yükseköğretim Kurulu Başkanlığı, Uluslararası İlişkiler Birimi, Ankara. [Available online at http://www.yok.gov.tr/web/uluslararasiiliskiler/bologna-sureci-nedir] Retrived on November 27th 2015.